I was never a big book at the beach reader. Sure, I’d bring one and get through a few pages, but people watching would always win out. Now, curl up on the couch by the wood stove in winter to read? You bet! Although I don’t make as much time as I used to for fun reading, I do have my favorites. Fred’s cousins Diane and Steve gave us this book for a wedding gift. I had never heard of it, but once I started reading it, I couldn’t put it down. We married in the Fall, so over the winter I would read it aloud to Fred before bed. Talk about the perfect book for us! It’s the memoir of Betty MacDonald, who marries a would be chicken farmer (sound familiar?) and the life that ensues. The book starts with some background of Betty’s childhood and her mother’s advice that a wife always supports her husband’s ventures. So when Bob decides to leave his office job and become a chicken farmer, Betty is right by his side. Betty tells her tales of hauling water, trying to master a temperamental wood stove, life on the Olympic Peninsula in Washington state, dealing with neighbors and Native Americans, the beauty and hardship that is life on the farm, and the experience of a first time chicken farmer. Having never raised chicks before meeting Fred, I love her description of brooding chicks, the time and effort it takes, and feeling consumed by tending to their every need. If you want a peek into our farm life, read this book! I found this book at our local library, so maybe you can, too. Whenever I have someone ask how we can kill an animal we raised with so much care, I recommend this book. 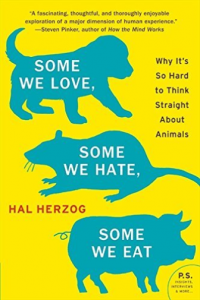 Herzog, is an anthrozoologist (science of human–animal relations) and he delves into why we view some animals as pets, others as food, and some as disgusting creatures. For over two decades he has tried to answer questions about human and animal interactions like does having a pet really make you happier? Why does one culture view a dog as a family member, while another sees it as food, and another shuns them? What do people really mean when they identify themselves as a vegetarian? 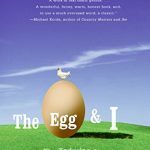 Who has the better life–a chicken in a factory farm or a rooster raise for cockfighting? What can we really learn from experiments on mice? This book will open your eyes as to why you think what you do about the animals around us. I found this book on a “free” cart at the library. What a score! The book begins in the Spring, with eleven year old Eldon narrating through the seasons on the farm. From animal birthing to summer harvests, from fall butchering to time in the winter room. 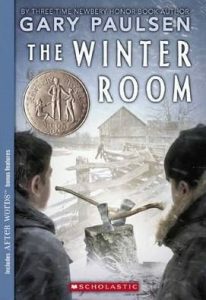 The winter room is where the two brothers gather with their family on cold nights to hear stories from old Uncle David. One night, the boys tell their uncle they don’t believe his story, so the stories stop. Only after the boys spy on their uncle, do they believe him and beg him to resume story telling. As a child, I spent a lot of time with aunts and uncles and our grandmother lived with us for awhile. So the idea of having family around and sharing so much, really struck a chord with me. Paulsen delivers the perfect picture of farm life of both children and adults. 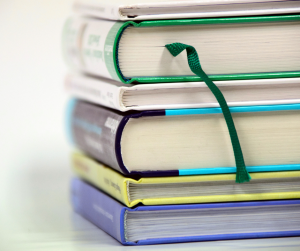 All of these books can be found on Amazon and Ebay, and hopefully your local library. If you read one, let me know what you think in the comments! What a wonderful list, thank you! I haven’t heard of any of these! Definitely picking up the book by Herzog. THanks!!! I think you and Rene would love all three for sure!